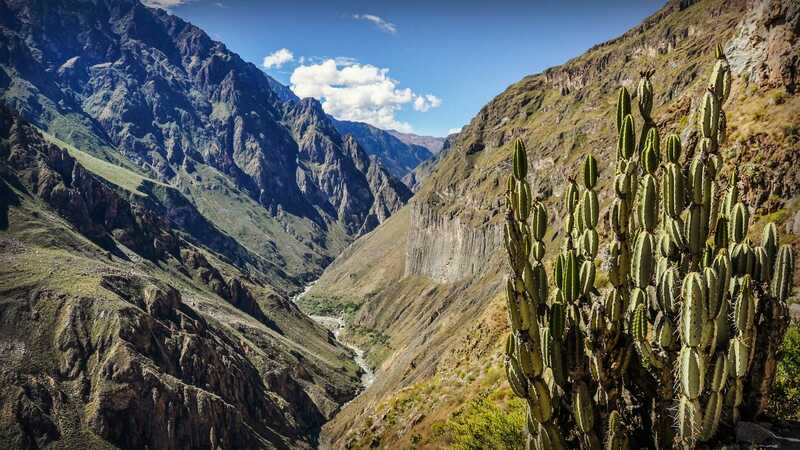 On your Colca Canyon Trek, you will hike down the second deepest canyon in the world and enjoy a one-of-a-kind experience when watching the majestic condors fly. 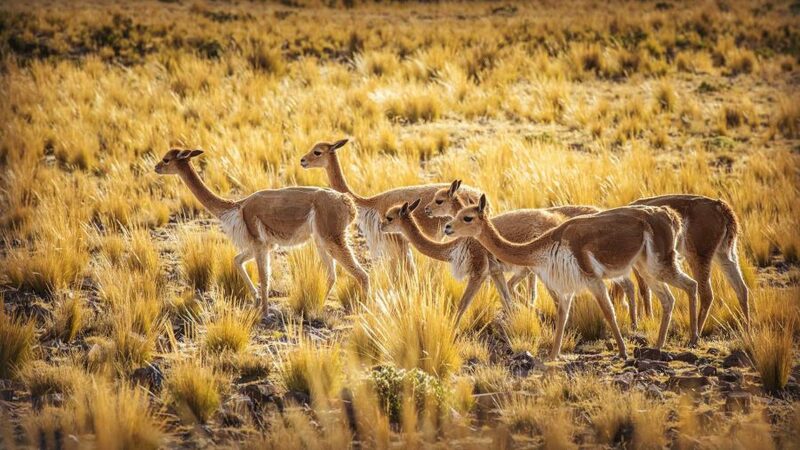 The beautiful scenery and wildlife on the way to Cabanaconde is part of this unique adventure. 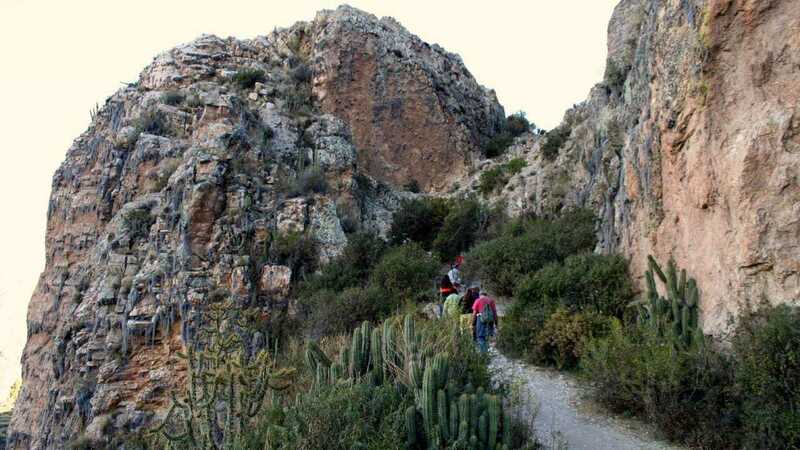 While trekking to the village of Llahuar, the apachetas will guide your way just like in ancient times. 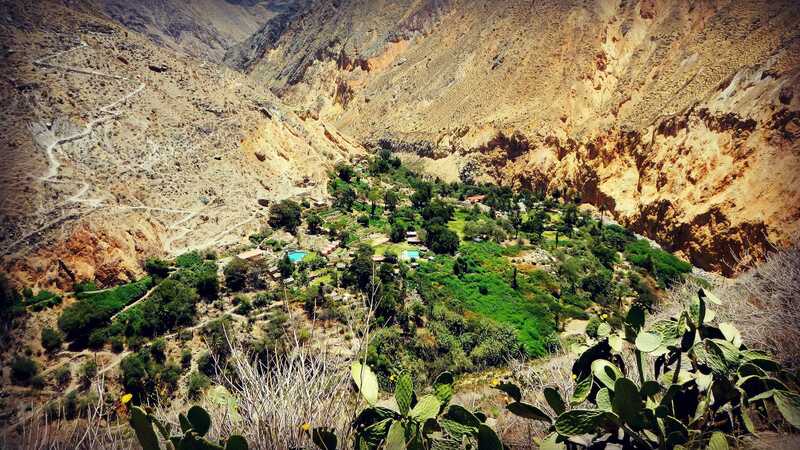 Deep in the canyon, you will fall in love with the serene Sangalle oasis, taste mouth-watering nutritious local foods, relax in natural hot springs and try your luck at trout fishing in the Colca River. 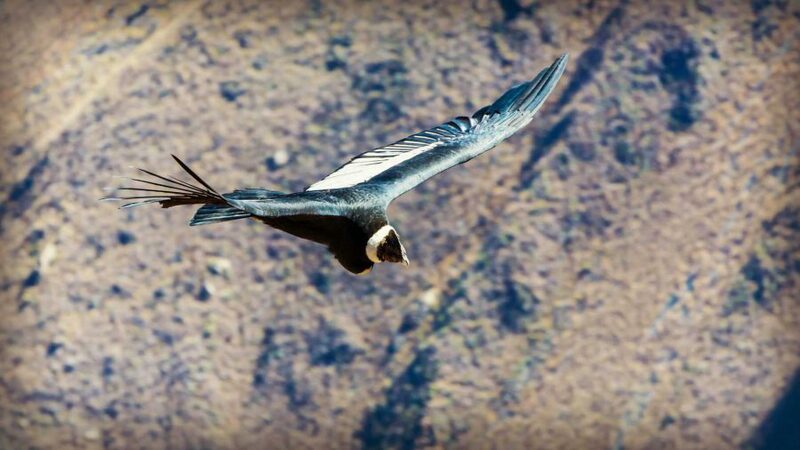 Hear the wingbeat sounds of the majestic Andean condor soaring above you on your Colca Canyon trek. 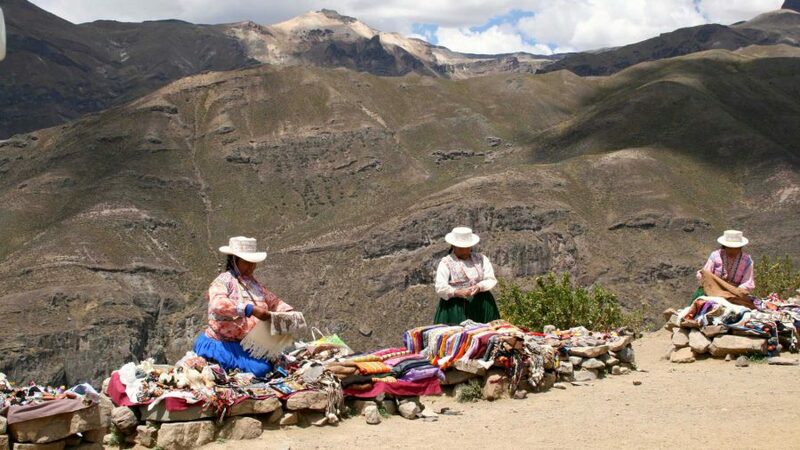 Interact with the local indigenous people, who have lived for centuries in the Colca Canyon raising livestock and taking care of the land. Relax in tranquil hot springs or cool off from your trek in refreshing swimming pools. Enjoy calm nights beneath the stars accompanied by the lullaby of the babbling river. Have the opportunity to taste our native delicious foods which are prepared with homegrown goods by the local people. 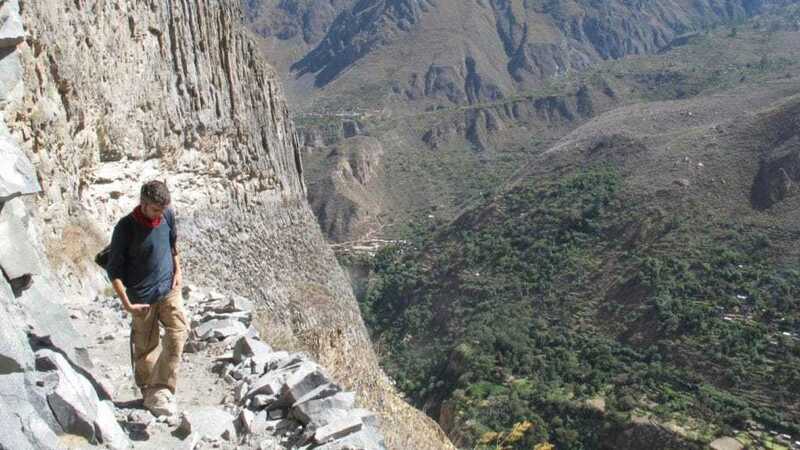 Click through to “Tour Plan” to see the full itinerary for the Colca Canyon Trek. 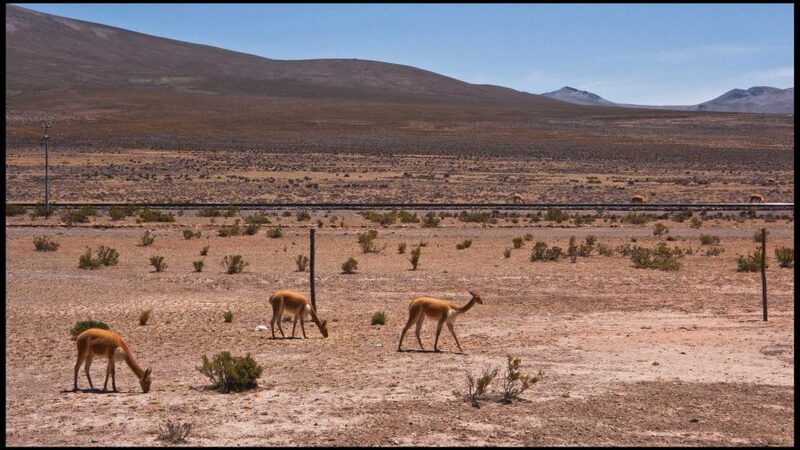 Day 1: Travel from Arequipa to Cabanaconde by bus. 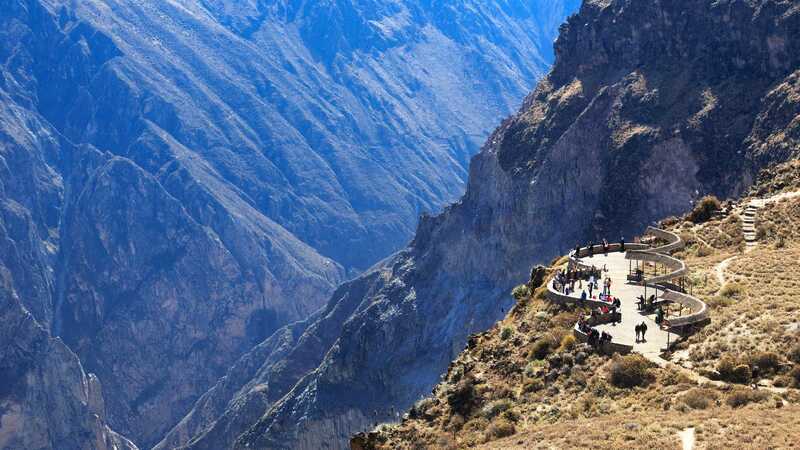 Begin your Colca Canyon trek and exploration of this impressive landscape with a moderate descent (4 hours) to Llahuar. Trekking time: 4:00 – 5:00 hours approx. Low point:2020 m./6627 ft. - High point: 3200 m./10498 ft. approx. Day 2: Trek along ancient paths to Sangalle (4 hours). Spend the afternoon relaxing along the oasis pool or relaxing along the banks of the Colca River. 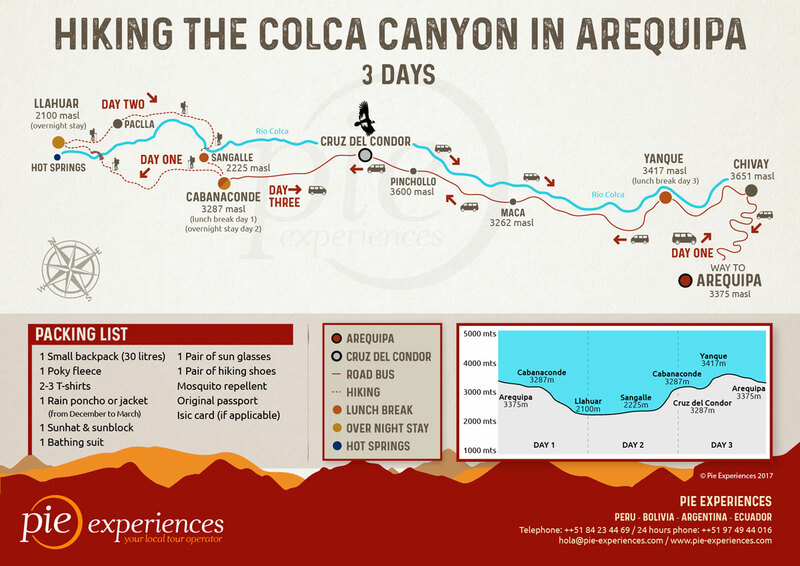 After lunch we will continue ascending to Cabanaconde (3 hours). Overnight stay at a comfortable hotel in Cabanaconde. Trekking time: 7:00 - 8:00 hours approx. Low point:2020 m./6627.297ft. - High point: 3200 m./10498.69 ft. approx. 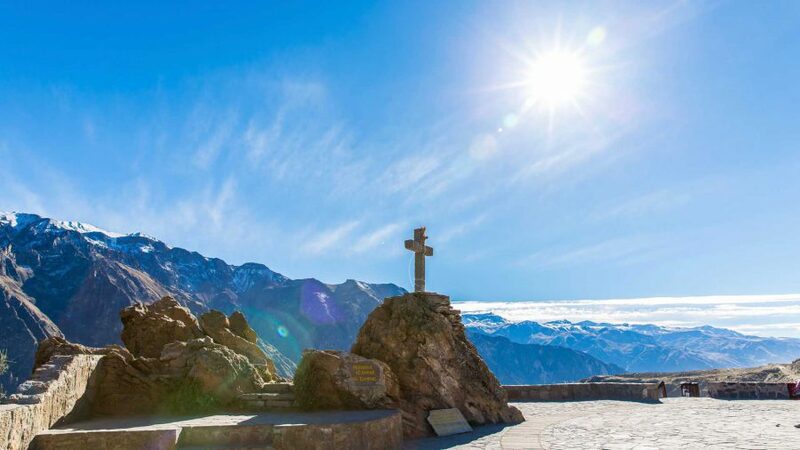 Day 3: Visite Cruz del Condor. From here, you will have the chance to see the Andean Condor and enjoy a lunch with a local family in Yanque before returning to Arequipa. Kilometers covered: 2 km. (1.2mi.) approx. Low point:3200 m./10498.69 ft. - High point: 4800 m./15748.03 ft. approx. and 1 night accommodation in 3* hotel. 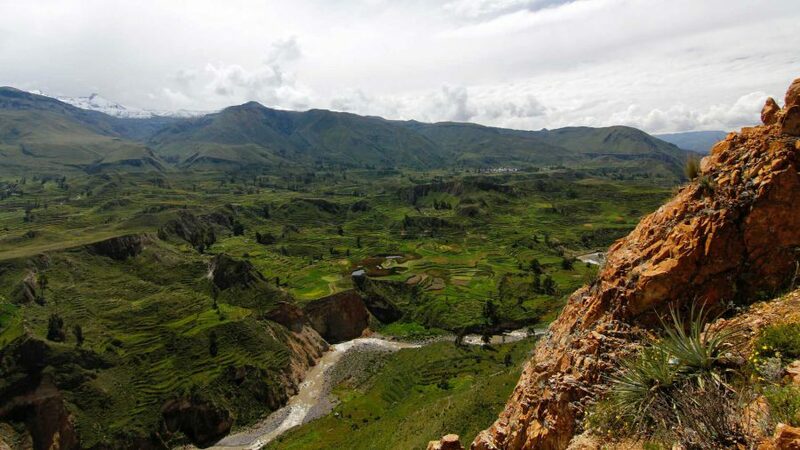 To learn more about the experience of this wonderful Colca Canyon trek, read our blog post Why you should trek Peru’s Colca Canyon. We recommend you book your Colca Canyon trek at least 10 days in advance. Your adventure begins as you’re collected from your hotel at 7am; an early start for nature’s explorer. 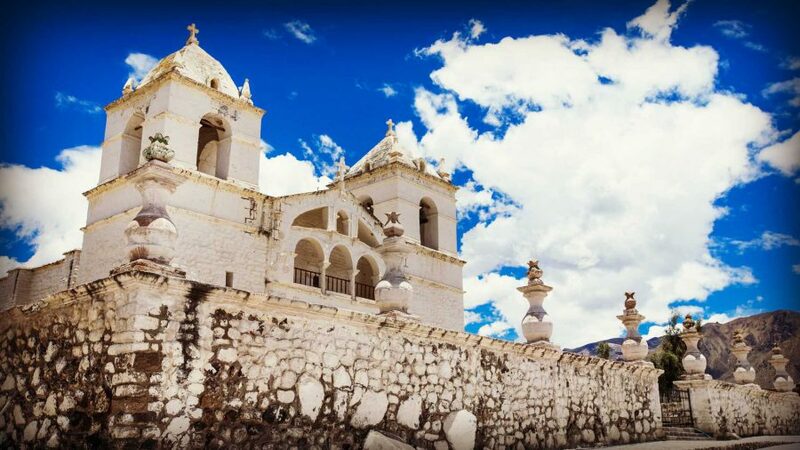 As you travel, watch the charming countryside surrounding Arequipa transform into the dramatic mountain ranges you are about to discover. 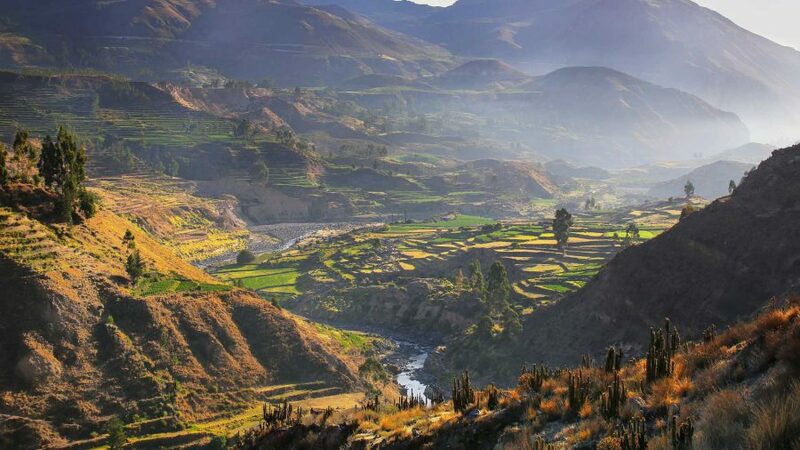 Arriving in the picturesque village of Cabanaconde at about 12pm, prepare your mind and body for the day ahead with a sumptuous and nourishing local lunch. Next, you will begin your descent into the terraced landscapes of one of the world’s deepest canyons. Surrounded by natural flora and fauna, wandering over babbling brooks, your four hour trek will end at the remote village of Llahuar. Take in the grandeur of the land around you as you enjoy dipping into natural hot springs or fishing for wild trout. Let the landscape delight you in the simplicity of its natural offerings. As evening falls, a well earned home-cooked dinner will be served. You may even be able to taste a freshly-caught trout supper before retiring to your rustic bungalow filled with that unique sense of excitement and satisfaction. Reflect on the day’s events as you fall asleep under the stars. Hiking time:4- 5 hours approx. Low point: 2020 m./6627 ft. - High point: 3200 m./10498 ft. approx. After breakfast, a second day of adventuring begins when you start towards Sangalle, a serene oasis surrounded by leafy foliage and the protection of the mountains. Marvel at your progress as you reach a point that allows a pristine panoramic view of last night’s rest point, Llahuar, and your forward destination, Sangalle. 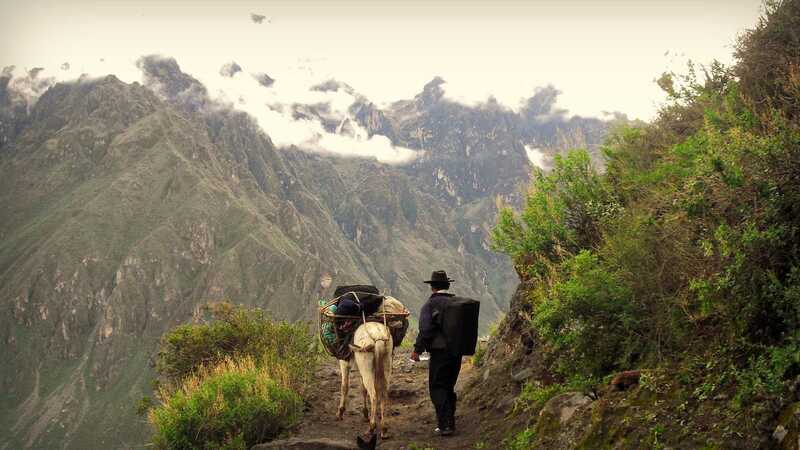 You’ll notice that your way is being guided by apachetas, age old towers of stones constructed by Andean wanderers, who like yourselves, needed a way of marking their trail. Assimilate with the ancestors as you walk these ancient paths, consuming the rich history of the canyon with every step. 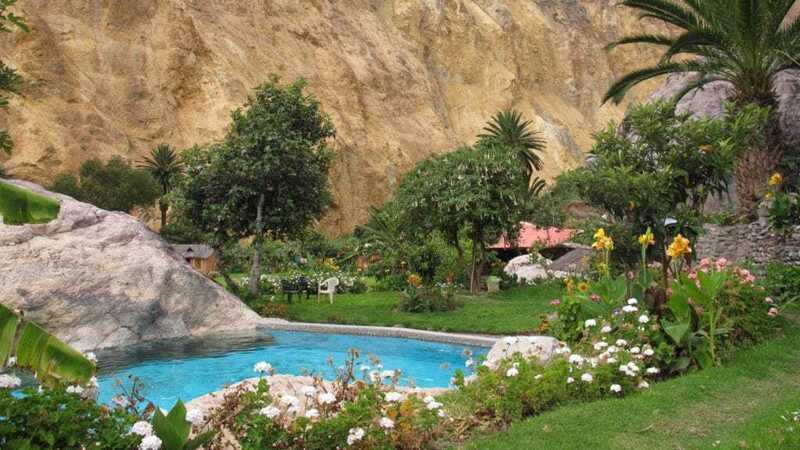 Lunch will be taken at Sangalle, where afterwards you'll be free to spend time lounging around the tropical oasis pool or exploring the banks of Colca River. 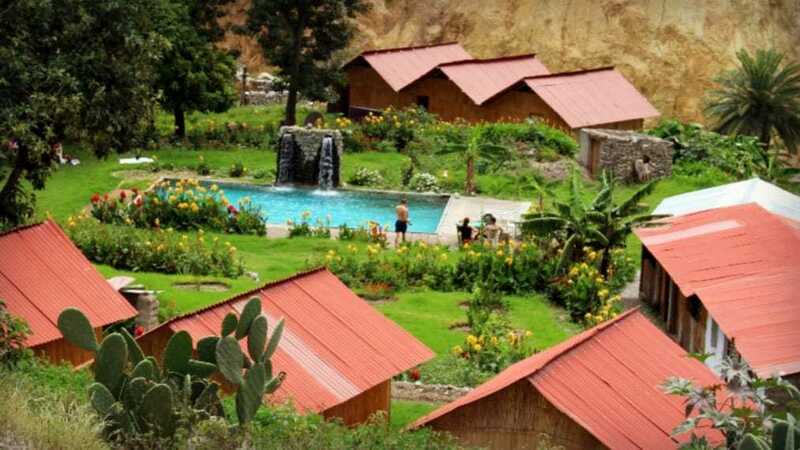 After some essential relaxing, the final stage of the day will be an ascension to Cabanaconde, where your destination and rest point for the night will be the Kuntur Wasi Hotel. Hiking time: 7-8 hours approx. Wake for your final day of exploring the canyon. You'll be breakfasting at the hotel, before taking a private transport to Condor Cross. Savor the opportunity to take a car after two days of trekking. You'll be dropped off at one of the only vantage points in South America where you can see the magnificent condor - the largest flying bird in the world - in its natural habitat. If you're lucky, you'll be able to feel the wingbeat of the condor rippling the air across the canyon. These kings and queens of the sky create a magical day for nature lovers. 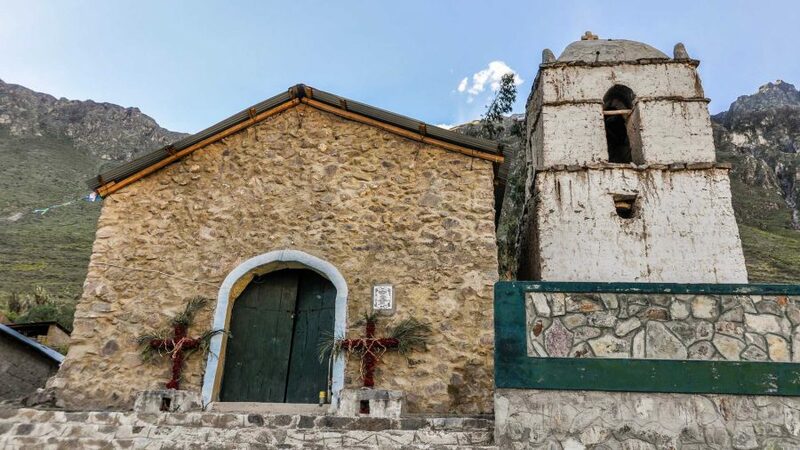 Lunch will be taken in Yanque, where you'll stop at a local family's house to eat to enjoy some respite and true Colca hospitality. On your way back to Arequipa you will have the option to stop off at Chivay in order to peruse the town and relax in the local hot springs. You'll be arriving back at the White City of Arequipa at the beginning of the evening. Activities: All the ones described in the itinerary accompanied by a professional tour guide. Kilometers covered: 2 km. (1.2 mi.) approx. Low point: 3200 m./10498 ft. - High point: 4800 m./15748 ft. approx. This three day trek was the highlight of our (my husband and I) second trip to South America. 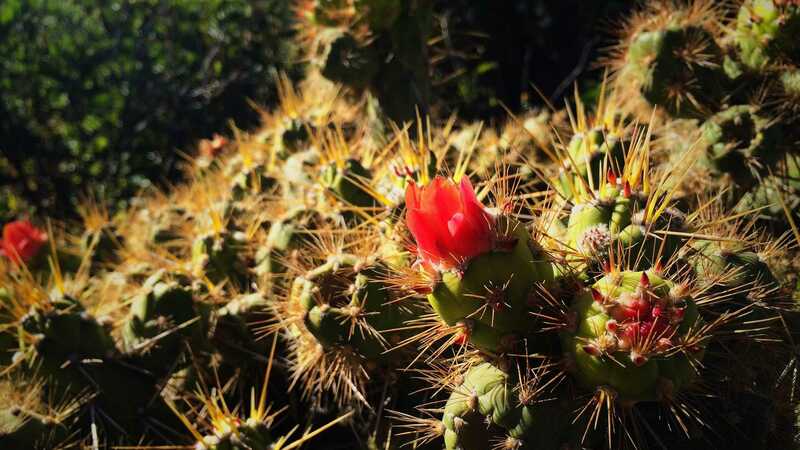 We were visited in Arequipa the night before by our guide ,Veronica, who told us what to expect. If you want a gentle jaunt, this isn’t for you but if you want a real experience then this is one you won’t forget! Being 60+ PIE PERU must have thought we would hold up the under 30’s so we had Veronica to ourselves! She was fantastic and looked after us so well. The variety of flora, the sheer magnificence of the scenery and the majestic condors are breathtaking. Accommodation in the canyon is very basic but interesting and friendly. 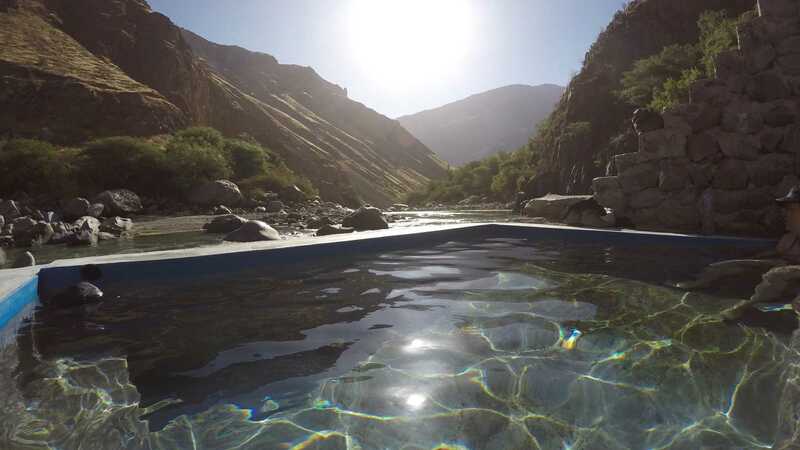 the second night is like a little tropical oasis- complete with natural warm pool – a wonderful resting place before the last day’s slog back up the canyon! Are you fit enough? We are reasonably fit and walk a lot. , I had a knee replacement 5 years ago and despite being passed on the way up by a lot of under 30’s, I made it. The toughest thing we’ve ever tackled but absolutely fantastic – thanks to Veronica who looked after us so well. If you get the chance , do it – the sense of achievement is amazing! 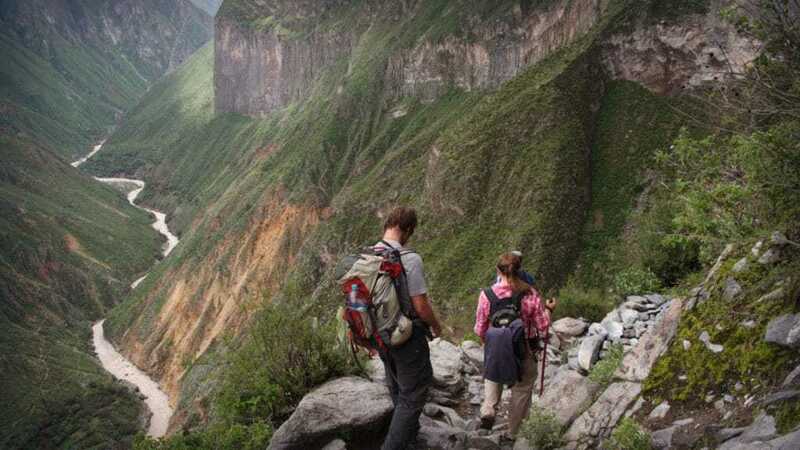 After trekking the Inca trail, we had booked this trek as an enjoyable relaxing trek to follow it up, and we weren’t disappointed! 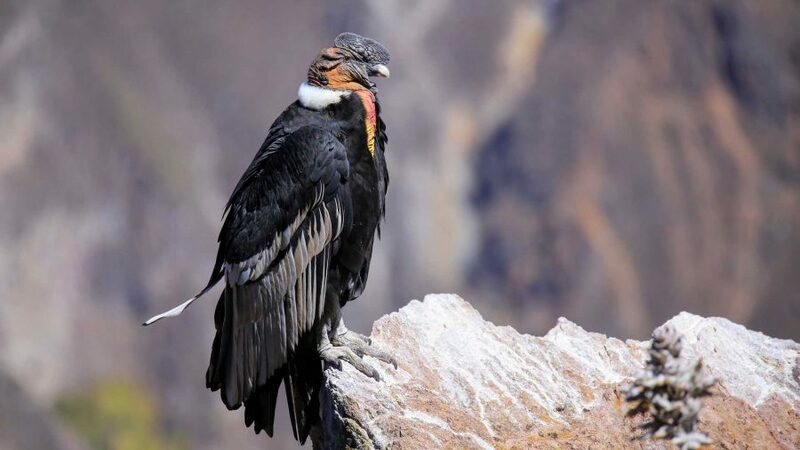 After meeting with our guide Yolanda the day before to get a brief, we were picked up extremely early for the trek in order to make it to the Condor Cross to see the condors at the best possible time. We turned up on time as did the condors, just spectacular watching them soar up the canyon! The descent itself into the canyon was a wonderful walk with amazing views across and down the canyon. Doing the three day trek meant that there was no rushing to get to the oasis on the first day, we had the afternoon to relax in the canyon. Day two was a gentle stroll across to the oasis, still with a few steep sections, but with a guide who had an in-depth knowledge of the flora and fauna and could answer everything we threw at her! The oasis itself with its pools was wonderfully relaxing, although if anyone tells you in advance the pools are warm, they’re lying!! The water is cold, but with the heat of the sun on the surrounding stones its perfect. In order to meet the bus the following morning meant a very early start, however with the constant views and cooler morning air the trek up (1200m in just over 3 hours) was remarkably easy. Having all meals provided meant there was never any need to worry about food and there were plenty of places to buy water along the way. All in all this was an amazing trek which I would recommend to everyone. Provided you have the time, I would recommend the three day trek over the two day purely because it gives you more time to relax and enjoy the canyon.